Unfuck Your Brain does a great job of filtering its readers out with its salty title. If language offends, pass this book by—but those who skip it will also miss amazing and thoughtful insights. Harper, a licensed professional counselor with a PhD in counselor education and supervision, has particular experience working with people who have experienced trauma. 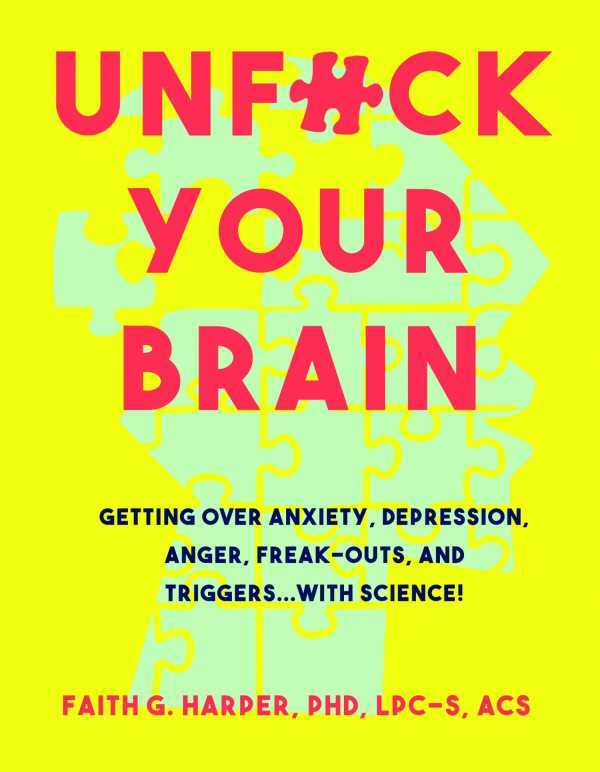 The book is full of useful suggestions for dealing with the mind-messes commonly caused by trauma and other mishaps in the past. Harper’s discussion of how the brain works to process memories is invaluable for how it traces the brain’s attempts to ensure safety, which can actually lead to inappropriate freakouts. This is essential reading for those who want to understand why their minds so often seem uncontrollable, and it offers plenty of realistic tips for supporting healing. The book abounds with practical advice—from ways to ground and show self-compassion to writing, going outside, and changing habits—that can help audiences manage their own issues, as well as for getting professional help when needed. Dr. Faith is a hoot with heart, and her guide is full of workable, professional advice, as well as it is replete with sarcasm, good humor, and grace.